SONIA has provided technical assistance to the International Indigenous People Forum on Climate Change Platform (IIPFCC) since 2009. The IP was established as a caucus for indigenous people participating in the UNFCCC processes. SONIA’s assistance consisted in preparing texts aimed at protecting the rights, livelihoods and ecological knowledge of indigenous peoples in the international climate change negotiations. These efforts have been successful because the Paris Agreement (2015), though high on ambitions but low on commitments, contains specific language which acknowledges the respect and promotion of the rights of indigenous peoples, the safeguard of indigenous ecological knowledge and reaffirms the need of their full and effective participation in all climate related activities and programmes. At COP23, thanks to the lobbying of IIPCCC, the creation of an Indigenous People and Local Communities Platform was suggested as an important element for negotiation at UNFCCC. Its creation and functioning modalities was finalised at the KATOWICE Climate Change conference in December 2018. This document acknowledges indigenous peoples and local communities as key stakeholders in the UNFCCC negotiations, enhancing their role. It also foresees knowledge-sharing of best practices of Indigenous People in climate change actions and recognises their vital role in addressing and responding to climate change. Another important development for Indigenous People was the adoption of an Indigenous People Policy at the Green Climate Fund (GCF). All these results reflect the hard work that indigenous peoples and supporting organisations like SONIA have undertaken to enhance the protection of indigenous peoples rights and their participation in climate change negotiations, adaptation and mitigation. SONIA has been cooperating with the Indigenous Partnership on Food Sovereignty and Agrobiodiversity, an international endeavour hosted by Bioversity International, since 2010. SONIA participated in the negotiations on the Convention of Biological Diversity in Nagoya (Japan, 2010) where three very important agreements on benefit sharing, favourable to indigenous peoples, were reached. During that conference SONIA promoted a new initiative on Indigenous Peoples, Agro Biodiversity and Food Sovereignty. In 2013/14 it organised two food and agrobiodiversity festivals: a smaller one in Sahsa, Nicaragua, in collaboration with CADPI, and a larger and longer one in Ayacucho, Peru, in collaboration with CHIRAPAQ. The event was designed to restore and promote indigenous food systems and agricultural diversity. This event gathered 81 exhibitors coming from 7 indigenous distinct peoples, spanning from the Andes to the Amazon. Altogether, 382 varieties of products were displayed. In addition to showcasing the huge agro biodiversity existing in indigenous territories, the event offered a number of cultural activities for children and adults: screening to school children of films by indigenous filmmakers, highlighting indigenous cultural identity; day long ateliers on sculpture and painting for children and youth; various forms of indigenous handicraft; traditional dances and music; an award-giving ceremony to promoters of indigenous culture and identity in the region and workshops in the evening where the issues of agro biodiversity, climate change and the nutritional value of indigenous foods were debated. In this field SONIA has assisted a group of young italian researchers and their professors from the IRFOSS (Institute of Research and Social Sciences Training). They conducted a participatory research project in 2014 mapping out the indigenous ecological knowledge on pollinators and the services they provide the world with, in two villages in Kotagiri Hills (Tamil Nadu, India) where the harvest of honey is practiced by many traditional methods. With the assistance of SONIA, three indigenous organisations (in Nicaragua, Peru and Kenya) were identified to conduct studies of a similar nature. The results were shared with the scientific community in Panama in December 2014. At the beginning of 2015 SONIA was also appointed as an official reviewer of studies on pollinators and their services, coordinated by the Intergovernmental Science- Policy Platform on Biodiversity and Ecosystem Services (IPBES). The results of previous years’ collaboration on indigenous knowledge on pollinators’ services were published in 2016, with many other articles, in the book “Pollination Services to Agriculture” edited by Barbara Gemmil-Herren, in the series Earthscan by Routledge. 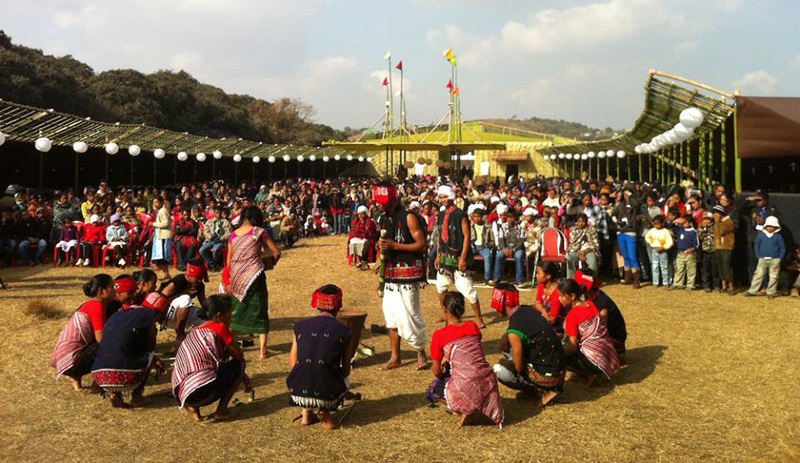 SONIA has been an active participant in the Indigenous Terra Madre (ITM), organized by the Indigenous Partnership in Shillong in 2015 and assisted in drafting the Shillong Declaration. This Declaration is a living document based on the working sessions held at the ITM reaffirming issues such as, inter alia, the importance of indigenous food system for health, nutrition and agrobiodiversity, indigenous people’s right to agrobiodiversity and the importance of traditional knowledge in maintaining it. In Turin in September 2016, SONIA was one of the panelists on “Biodiversity, Resilience and Global Challenges: Indigenous Food Systems as a source of Inspiration”. The following year, SONIA conducted seminars on these issues for indigenous interns spending a summer in Rome. SONIA is a member of the International Land Coalition (ILC), providing support and assistance to the ILC on matters related to Indigenous Peoples’ issues both in New York, during the UN World Conference on Indigenous Peoples and in Rome, where two meetings on this issue were held. SONIA also provided inputs, information and studies for the International Land Coalition report “Indigenous People’s rights to the earth, territory and resources”. SONIA’s own project in the DRC provinces of Kivu, have focussed on acquiring patches of land for indigenous Bambuti in the region in order to allow them to restore and sustain their own livelihoods through agricultural production. In 2015 SONIA attended the Global Conference organized by ILC in Dakar (Senegal) and moderated a session on grassroots participatory monitoring. In 2015 SONIA also joined the Global Call on Indigenous and Community Land Rights, which is a joint effort of many civil society organisations and has the target to double the global area of land legally recognized as owned or controlled by Indigenous Peoples and local communities by 2020. At the request of a regional indigenous association, AIPP (Asia Indigenous Peoples Pact), in 2013, SONIA trained about 20 young indigenous professionals in participatory monitoring and evaluation. The course was repeated the following year for the new staff of the institution and a refreshers’ course was given to the old trainees. They were all assisted in putting in place an institution-wide participatory monitoring system. Subsequently in June 2014 a participatory evaluation of one of AIPP flagship programmes on Human Rights Defenders in two countries (Nepal and Cambodia) was undertaken with some of the same staff. This was a great opportunity for them to learn by doing. In addition, the results of the evaluation and the methodology utilized were widely discussed with the rest of the staff.